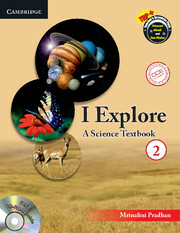 The I Explore is a carefully-graded 8-level science series based on the principles of activity-based learning. 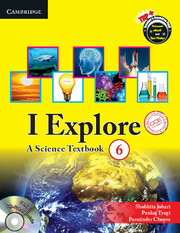 The CCE Edition of I Explore is a carefully-graded 8-level science series for school children. 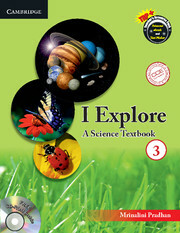 Based on the principles of child-centred education and activity-based learning, this series has been written in such a manner that children can explore science like never before. 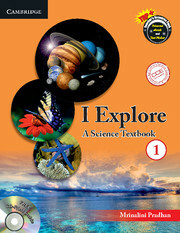 The series has been prepared in accordance with the latest NCERT syllabus and as per the guidelines mentioned in the CBSE’s circular (Circular No 04/2013 dated 14th May 2013) to schools for the selection of books. Warm Up- activities to recall prior knowledge and to arouse interest of students. New Words-section to explain the precise meanings of difficult words and scientific terms. HOTS- questions to hone higher order thinking skills. 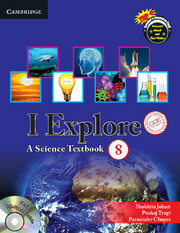 Teacher’s Notes- to provide chapter related suggestions to the teachers on effective teaching. 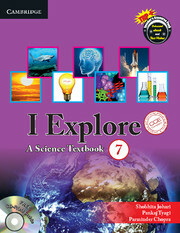 Lots of activities to make learning of science a delightful experience. 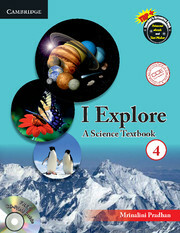 CCE based Formative and Summative Assessments to periodically evaluate the students.